"Criticism is as inevitable as breathing," wrote TS Eliot, "and we should be none the worse for articulating what passes in our minds when we read a book and feel an emotion about it". Nothing uncontroversial about that, as the proliferation of online book reviews suggests. But what if breathing is difficult and you don't know what passes in your mind? I've often wondered why certain books by certain authors fascinate me without any satisfactory means of saying why. I don't mean only those with complex arguments that require careful precis or that are especially 'poetic' or 'experimental', but something less tangible, connected to the style and content but connected to something else too. There are many books that invite the terms of discussion – In Search of Lost Time, for example, because it is the narration of its own coming into being – and yet, even then, accepting the invitation seems beside the point. It's an obscure problem, as what is stirred in the reader is soon displaced by inviting aids. Eliot presents one in the same essay when he emphasises the author's continual surrender to the order of tradition. The otherwise blocked critic might then seek a slot in the filing cabinet of what's gone before and call that articulation. Focusing on a book's genre designation and its faithfulness or not to that genre is a prime example of this iron lung approach, as is, say, the more aspirant tasks of excavating The Waste Land's relation to the Great War or explicating Proust's philosophy of time. The greatness, or part of the greatness, of an Aeneid, of a View of Delft, of a Don Giovanni, of a Ulysses, rests in the fact that they are, in an essential way, closed. 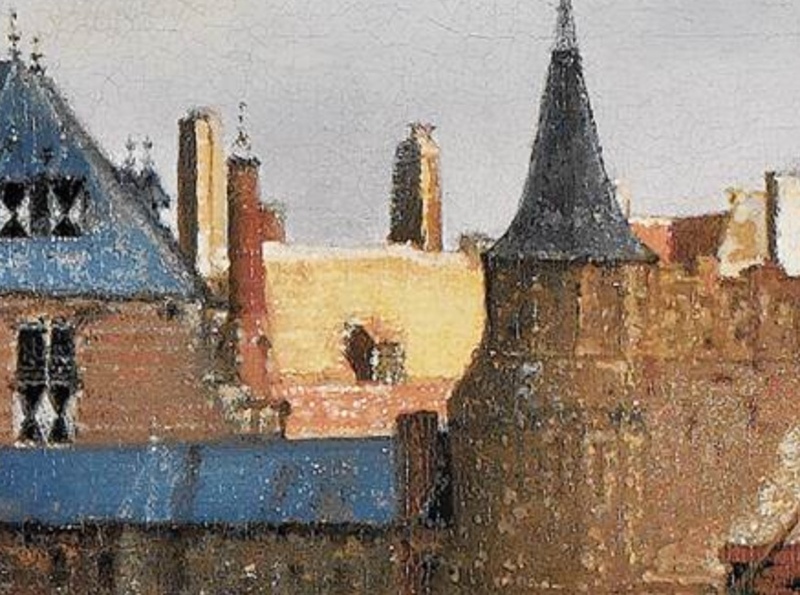 By this I do not mean to say that these works of art are difficult, or obscure – what could be more limpid than the light that hovers over Delft? – but that they are mysterious at their core. To repeat: great art, I am convinced, does not 'reveal' itself to us, does not open outward to our needs; on the contrary, it is great precisely because it is closed against us. Criticism saves by ushering us beyond what ever is closed and tells us that the book deals with X, tackles themes of Y or is a meditation on Z. Distance is its Beatrice. 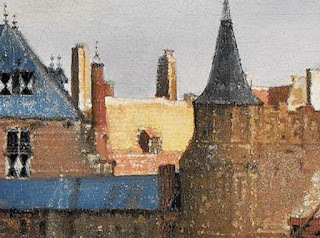 To imagine an alternative, we should remember what happens to the writer Bergotte as he gazed at the yellow wall in Vermeer's painting. Banville's selection comprises only accepted classics, so to me it has the air of received opinion rather than a personal encounter, which is unfair, so, to counter the aura, I should select a few random examples of my own that refuse expression: Peter Handke's Repetition, Paul Celan's poetry and Jacques Roubaud's The Great Fire of London. Except, when I do, I realise I have written about all three – so perhaps I wrote to mitigate my ignorance of what sets these works apart and convinced myself it was articulation while knowing all along it was self-deceit. Criticism is then not so much bureaucratic evasion than a protective wall. The merits and problems of criticism are discussed by Maurice Blanchot in his 1947 review of Jean Pouillon’s study Time and the Novel. He praises Pouillon for avoiding the vagueness he says is common to literary studies, but then follows Banville by doubting the value of the novel as an instrument of knowledge when it is "knowledge with its starting-point in the void of fascination". He describes the novel as a form as "the most striking product of bad faith in language," in that at its best we experience something very powerfully that at base doesn't exist and thereby requires "an ignorance peculiar to art" to fully appreciate. Criticism would appear then to demand vagueness in order to pay ultimate respect to such ignorance, and the failure to satisfy the need to identify the fascination would be entirely appropriate, or else it would destroy art. But this does not escape the problems of knowledge either: while applying precision and rigour to a study of the novel is an act of bad faith because it will not accommodate ignorance, respecting that ignorance is also bad faith because it cannot accommodate its own inevitable knowledge of that distance. Critic's block would appear then to be the proper condition, even more so than critical vagueness, and we might accept this as proof of the harm of criticism and thereby wish for its disappearance, as it causes more damage than, say, dancing about architecture, because it sullies the language of literature with crude, everyday words and ideas. Except this would itself be a disguised form of criticism, equivalent to a prideful disdain for anyone who attempts to articulate the fascinating void, which actually reinforces respect for this aspect of art it is supposed to be dismissing; a tactic so common in English culture that it is as invisible as breathing. Eliot himself said his essay would "halt at the frontier of metaphysics or mysticism, and confine itself to such practical conclusions as can be applied by the responsible person". But to what is this being responsible? We might test this with Blanchot's characterisation in the same review of the novel as "an absence that seeks to be everything and become real in the dual and paradoxical form of absence and absence of everything". Not a sentence you'll ever see in a crime fiction round-up and perhaps a prime example of the irresponsibility Eliot resisted, except to me it does that rare thing of challenging us to appreciate the strangeness of this enchantment in which we allow ourselves to cross a frontier. Wozu Kritiker in dürftiger Zeit? To answer the original question then, it might be that some books resist satisfactory critical approach because criticism cannot contain a dual and paradoxical form, cannot follow the novel over the frontier. This would explain Banville's sense of mystery before certain works, in that those that allow approach foreground the paradox while those that don't, embody it. And while the value of such a distinction might appear to be small beer and irredeemably subjective, it might provide a better context for any critical block. It is a pursuit that the world generally finds incomprehensible (substitute 'incomprehensible' with the word 'experimental') and also prompts a certain self-destructiveness in the artist as they struggle to reconcile the quest with a futility larded by success: "For a work can never take as its subject the question that sustains it. Never could a painting even begin if it set out to make painting visible." Blanchot then suggests the "anonymous, authorless language" of the mass of documents that have no literary intention and disappear as soon as they appear might alert us to something the more familiar works are also seeking, the speech of "an impersonal neutrality", perhaps that which elevates a work in our eyes, as it does not allow the extraction of everyday value. This is not to endorse the reality hunger of recent times, because it is not the informational content that is being highlighted, but something closer to the destitution of the sublime Jeff Fort identifies in The Imperative to Write. So, the answer Blanchot gives to where is literature going is that it is going towards this blank space, towards its essence in disappearance. Except we might look at current conditions and complain that literature has more or less disappeared anyway, in that it is now almost as anonymous as any other mass of documents, with novel upon novel being written and published without any curiosity as to its meaning outside of daily commerce; that is to say, there is no resistance to the easy victories of the form, no curiosity let alone horror at how they're relying on the absence of everything to create meaning, and there are very few writers apparently prepared to wax their ears and strap themselves to the mast to go beyond the siren call of worldly accomplishment. I suspect my assumption about critic's block is really only the wish to be challenged more often; for this to be the rule rather than the exception. Blanchot sees the task of criticism in the Kantian sense of "interrogating the conditions for the possibility of scientific experience" except, in terms of literature it is not only theoretical but "the very process constituting the literary experience", that is, criticism should be a creative act that, by straying from the path, "opens up the darkness". Critics should be, he says, like the priests of the wine-god in Hölderlin's poem "Who in holy Night roamed from one place to the next". In this sense, perhaps it is time writers became critics and critics became writers so that such distinctions disappear.